If you’re someone who has a locksmith on speed dial, then maybe it’s time you start thinking of ways to stop losing your keys. Here are 5 tips to keep you from losing your keys, and 5 products that can help! Every generation has its own language, it seems, and among the newest phrases to enter the lexicon is ‘first-world problems,’ a phrase that talks about issues commonly faced in more developed countries. Though the phrase is new, the idea is nowhere near, and perhaps the most common form of first-world problem is losing your keys. It’s a problem that has existed presumably ever since humankind started locking things. So, how do we solve this problem that has persisted for hundreds of years? Allow us to offer some advice. As with most tasks, the best thing you can do to help yourself find your keys is to stay organized. Set up specific places for things so you always know where they are. Keep in mind, the storage spaces do not need to be creative by any means. In fact, the opposite could even be said, the more obvious the better. For instance, keeping a basket near the door is a great way to keep track of your keys. Perhaps the way of the future, apps are popping up everywhere, and yes, there is an app to help people find their keys. Keep in mind, you do have to buy a device known as a key finder for this to work. You see, the app is actually a tracking device, and the key finder is the ‘chip’ being trapped. You just attach it to your keys, and losing them should no longer be a problem. Keychains are a classic and for good reason. They help us showcase our personality, attach our keys to belt loops or something similar, etc. Another great thing about keychains is that they can be very gaudy, so much so that they’ll stand out in most circumstances. It may not be the most ideal solution, but it’s a great way of keeping you from losing your keys. The only question is, can you handle carrying something that tacky? Differing slightly from the traditional key finder, a HipKey is a device that goes off when your keys and phone are a certain distance apart. The maximum distance is no more than fifty meters at most, and you can switch between settings. Keep in mind, most of these devices don’t work if you happen to lose your phone. This must sound like a really weird solution to the problem, but there’s a lot of merit to it. Several studies have been done on the relationship between mindfulness exercises, such as meditation and deep breathing, and brain power. It turns out that many of these practices can actually increase our memory to an extent. Plus, mindfulness has a few other benefits, too. It reduces anxiety, which in turn help with memory and decision-making because stress tends to make our minds go blank. We probably don’t need any studies to know that’s true. In short, not only can mindfulness help memory, but it can also make you feel better. Similar to the HipKey, except with a slight improvement. Not only does the Cobra Tag tell you when your keys are more than thirty feet away, but you can hit a button to help find them. Not only that, but it’s actually cheaper than the flip key, coming in at about $70 compared to the HipKey, probably because cobra tag was designed to be compatible with older tech, so you can use it if you have an Android or are still using a Blackberry. Containers are a great way to keep from losing things. By putting things in containers, you limit how many places there are to look for important things. Plus, keeping track of a small group of plastic bowls is easier than trying to remember everything you did in a single day. In case you don’t want to take the risk of losing your smartphone and never finding your keys again, the Locca is here. It’s significantly more expensive than the other devices on this list, coming in at $130-70, but that’s because it can do more. Not only can it keep track of several objects at once, but it can also tell you when the object is moving away from wherever you left it. There is also a purchasable Locca Phone at just over $200 dollars, which can track larger objects and be used to dial emergency numbers should the need arise. This may seem like an obvious solution in retrospect, but try to downsize while you’re at it. The less stuff there is around the house, the less clutter there will be. That’s not to say you have to get rid of a whole bunch of things but maybe downsize on the amount of ‘extras’ you need. Maybe you have a place in your house that holds pens and pencils and markers. Ask yourself, how many of these pens still have ink in them? How many of those markers haven’t dried out? Basically, if you don’t know why you’re still keeping it, get rid of it. This is the device to go to if you want a way to find your keys without spending too much money or taking up too much space. As long as you can get a quarter-sized tracker on it, you can use StickR TrackR to find it. This device can track ten things at once, and even ring them so you can find them more easily. It turns out, there are quite a few ways to keep track of your keys, some of which you can do yourself, and some that require the aid of technology. It all depends on how you want to approach things. 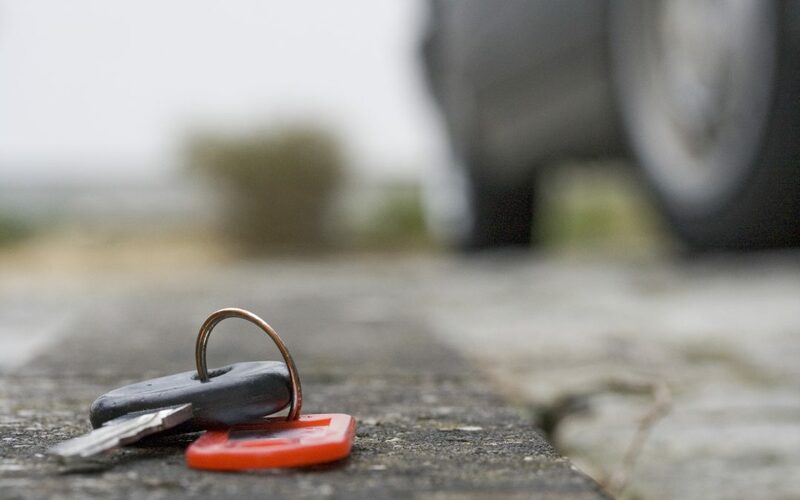 Speaking of lost keys, if you find yourself in need of a locksmith, please visit our site. We have some great services for you to choose from, all neatly arranged into categories. If there’s anything we can do for you, please contact us.